Yes hello! In this week’s episode of the Ultraculture podcast, British journalist George Pendle, author of the biography Strange Angel: The Otherworldly Life of Rocket Scientist John Whiteside Parsons (now the basis for the CBS All Access show Strange Angel) stops by to talk about the enduring fascination of occultist and rocket scientist Jack Parsons. And lots, lots more. It was an awesome conversation, and you’re really going to enjoy it. George Pendle (born 1976) is a British author and journalist. He was educated at Stowe School and St Peter’s College, Oxford. 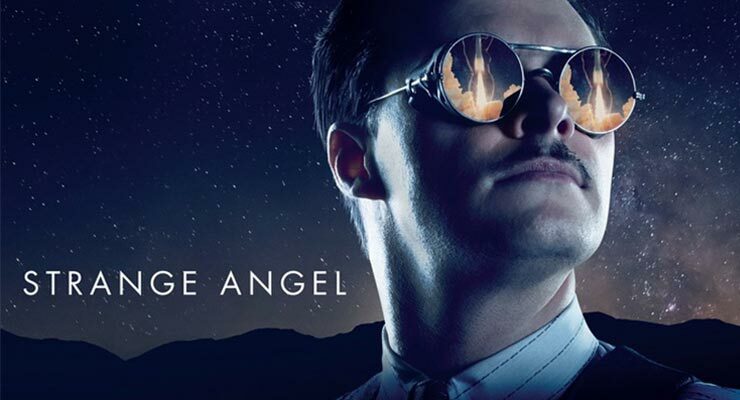 After working at The Times from 1997 to 2001, Pendle wrote his first book, Strange Angel: The Otherworldly Life of Rocket Scientist Jack Parsons (2005). Pendle’s second book – The Remarkable Millard Fillmore: The Unbelievable Life of a Forgotten President (2007) is a faux-biography of the unlucky thirteenth President of the United States of America, Millard Fillmore. His third book, Death: A Life (2008), is a comedic autobiography of the personification of Death and how he deals with his purpose, life, and love. A collection of his non-fiction writing was released under the title Happy Failure in 2014. Pendle’s articles can be found in the Financial Times, the Los Angeles Times, Frieze, Cabinet magazine, and Bidoun. He lives in New York City, where he has also written signs for the New York City Department of Parks and Recreation. Check out the brand new Ultraculture podcast minisite to subscribe to the show! Don’t forget to follow me on Twitter and Instagram—enjoy the show!